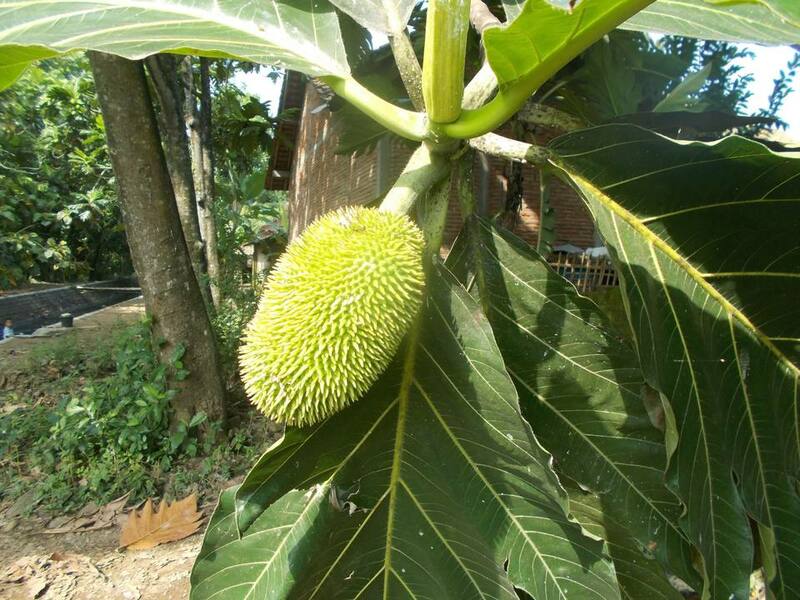 The breadnut is a seeded variety of a breadfruit, also known as a katahar and chataigne in Guyana and Trinidad and Tobago. It grows on what is commonly called a milk tree. Despite the name, it's not a nut at all but rather a fruit. Its botanical name is Brosimum alicastrum, and it's also sometimes called a Maya nut. What Does a Breadnut Look Like? A breadnut is a round, green fruit with short, dull, regular spikes covering its skin. It's approximately the same size as a breadfruit, but it has a more oblong shape. Inside you'll find white nuts covered by brown shells, all surrounded by white pulp. The shells are only brown when the breadnut is ripe. The breadnut is a fig of the Moraceae family, and it contains very little flesh. Tropic Hispanic cultures have valued the breadnut as their main source of food throughout the ages. Not only is it edible and sustaining, but it attracts game from wild pigs to rodents that can be hunted to provide meat. Breadnuts grow abundantly in the warm, wet climates and they're easy to harvest and store. The breadnut was originally native to New Guinea and the Philippines but is now grown as far away as West Africa as well as in South and Central America and the Caribbean. The seeds are still highly valued in some areas where women gather them to sell in village markets in order to provide income for their families. The breadnut is regarded as an Indian delicacy and is quite commonly used by Rastafarians. The flesh and seeds of the breadnut are often made into a curry and cooked with coconut milk. When the breadnut is green, it's treated like a vegetable. Immature breadnuts are often used in stews and soups. The white pulp is usually shredded like cabbage and braised, but the pulp isn't used when the breadnut is ripe. Only the seeds are used at this point, and they can number from a dozen to as many as 150 or so, depending on the size of the fruit. The seeds are boiled in salted water for a long period of time, or they may be roasted or steamed. Boiling them produces a consistency somewhere along the lines of mashed potatoes. When the seeds are roasted, they taste like coffee and chocolate—a nice combination, but the seeds also have a reputation for causing temporary digestive difficulties. Vegetarians love breadnut seeds and nuts because they're so nutritious. They're an excellent source of protein, carbohydrates, and fiber while also being low in fat content. They're rich in vitamins B, A, and C, as well as potassium, iron, zinc, and calcium. The seeds are believed to relieve pain and are often used to treat rheumatoid arthritis in folk medicine. Not only is the breadnut healthy, but it's also rumored to be an aphrodisiac, prompting feelings and urges of physical desire. Among other amino acids, it's chock-full of histidine which is said to invoke sexual excitement.